WAIST HIGH: Scariest Song EVER Turns 30. Scariest Song EVER Turns 30. (simpatico) It was this week in 1974 that Mike Oldfield's "Tubular Bells" hit number 1 on the U.K. albums chart (over a year after its release). 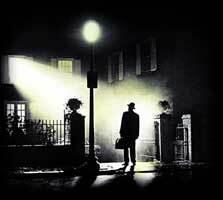 The late rise was probably due to an excerpt appearing in the movie The Exorcist.